If you’re a student loan borrower, one thing is certain. 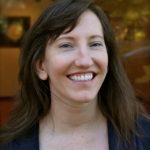 You’ll be paying your student loan debt back each month until those money-suckers are gone. While everyone experiences the pain and inevitability of a monthly student loan payment, it can vary from borrower to borrower. It all comes down to student loan repayment options. As a student loan borrower, you have the right to switch up your repayment plan to make your loans more manageable. 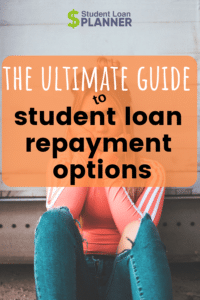 In this guide, we’ll cover all student loan repayment options to consider. When you graduate from school and your grace period is up, your student loans will be due. The repayment plan you’re automatically enrolled in is called the Standard Repayment Plan. All federal student loan borrowers qualify for this repayment plan. Under this option, borrowers pay back their loans over a period of 10 years. This has the shortest repayment period than any other plan, which saves you money on interest. Your monthly payment is a fixed amount that’s calculated so you’ll pay off your loans in 10 years. Not good for: Borrowers looking to pursue Public Service Loan Forgiveness (PSLF). This plan is the most cost-effective option. But while it saves you money on interest, your monthly payments are likely higher on this plan compared to other options. If you look at your loans and feel like it’s impossible to pay them back in 10 years under the Standard Repayment Plan, you might consider the Extended Repayment Plan. Under this plan, your repayment term can be prolonged up to 25 years. This plan is a bit different as your monthly payments can be fixed or graduated. Fixed means they stay the same over the course of the repayment period. Graduated refers to an incremental increase in monthly payments during the repayment period. To qualify, you must have more than $30,000 in student loans. Though your monthly payments will be lower than if you were on the Standard repayment plan, the longer repayment term means more interest. That means you’ll end up paying much more in total costs for the loans. Not good for: Borrowers looking to pursue PSLF; borrowers with less than $30,000. This option is geared toward borrowers who benefit from a longer repayment term. But in terms of costs, it may make more sense to go on an income-driven repayment plan (more on this later), which can have a similar repayment term and lead to student loan forgiveness. As you advance in your career and get older, the hope is you’ll earn more over time. When you graduate, it can feel like you’re just getting your life together. If you’re just starting out and feel confident you’ll be earning more in several years, the Graduated Repayment Plan may be a good fit. Under this plan, your monthly payments start low and increase every two years. The repayment term is similar to the Standard Repayment at 10 years. Every student loan borrower qualifies for this plan. Though the repayment term is the same as the Standard Repayment Plan, you’ll end up paying more in interest through the Graduated Repayment Plan. Not good for: Borrowers looking to pursue PSLF. The Graduated Repayment plan may be a good fit if you want smaller payments that increase over time without adding any more time to the repayment term. The minimum under this plan is $25. It starts by at least covering interest charges and goes up every two years. The payment can’t be more than three times any other payment. So expect to start out small and make incremental payment increases every two years. If your monthly payments are out of control, there are federal student loan repayment options that can help. There are income-driven repayment (IDR) plans available. These plans put a limit on how much your monthly payment is, which is based on a percentage of your income. If your income is very low, your payments could technically be zero dollars. Additionally, each plan offers student loan forgiveness if there is a remaining balance after your term is completed. Just be aware that you may be taxed on any forgiven loan balances. Here are the options available. The Income-Based Repayment (IBR) Plan caps monthly payments at 10 to 15 percent, depending on when you took out your student loans. IBR has a repayment term of 20 to 25 years, also depending on when you took out your student loans. After that time, if there are loans left, they’re forgiven. Based on these percentages, your payments will be lower than the Standard Repayment Plan and should be more affordable. Each year, you’ll report your income and family size and your payments may be adjusted, accordingly. Additionally, if you’re married and file jointly, your spouse’s income is included in this calculation. To qualify, your debt must be high in relation to your income. IBR can be helpful if you don’t qualify for PAYE (discussed below) and you file separate from your spouse. Not good for: People who can afford payments under a Standard Repayment Plan. Under IBR, you’re also eligible for PSLF, which offers forgiveness after 10 years of service and 120 payments. This program doesn’t tax forgiven loans, which makes it more appealing. The Income-Contingent Repayment (ICR) Plan is like a distant cousin to the rest of the IDR plans. In many cases, it’s only a good option for parents who have Parent PLUS loans. Under this program, monthly payments are limited to 20 percent of your discretionary income or a specific formula based on 12 years of fixed payments — whichever is the lesser of the two. The repayment term is 25 years, which is the longest term under IDR. Like other IDR plans, your monthly payment is evaluated each year, based on your income and family size. If you’re married and file a joint return, your spouse’s income is considered in the calculation. Not good for: FFEL borrowers. This is only available to Direct Loan borrowers. The one benefit of ICR is that any Direct Loan borrower is eligible for this option. But in many cases, if you qualify, other IDR plans may be better. However, if you have Parent PLUS loans and consolidate, this is the only IDR plan you qualify for. Borrowers who have a balance after 25 years are eligible for student loan forgiveness. Under the Pay As You Earn (PAYE) Plan, your monthly payments are 10 percent of your discretionary income. You must be a new borrower and have had a disbursement on or after Oct. 1, 2011. Similar to the other options, your payments are recalculated each year depending on your income and family size. Married borrowers who file jointly will have both incomes considered for the monthly payment. PAYE has a repayment term of 20 years, after which your loans are forgiven if there’s still a balance. To qualify, your debt must be high in relation to your income. If you qualify, this is one of the best IDR plans as it’s only 10 percent of income paid for 20 years. After that, forgiveness is an option. PAYE’s sibling is the Revised Pay As You Earn (REPAYE) Plan. It’s similar to PAYE in that the monthly payments are capped at 10 percent, but it’s different in some important ways. The repayment term varies between 20 or 25 years, depending on the degree. Undergraduate students will have a repayment term of 20 years, whereas graduate students will have a repayment term of 25 years. REPAYE also expanded eligibility as any Direct Loan borrower with a qualified loan can opt for this plan. Each year, your payments are calculated based on income and family size. One important distinction with REPAYE is that married borrowers have both incomes considered, regardless of your filing status. Whether you file jointly or separately, both of your incomes are a part of the calculation for monthly payments. Not good for: Married borrowers whose spouse has an income that’s significantly higher, as it could make payments very high for the primary borrower. A perk of REPAYE is that it offers generous interest subsidies. If your payment doesn’t cover the interest on your loan, the government covers the interest on your subsidized loans three years in a row. After that, the government pays half of the interest. Additionally, the government covers half of the interest on your unsubsidized loans for all periods. If you’re single and qualify, REPAYE is typically best. If you’re married, consider the implications of that on your payments. If you have multiple federal student loans, you might want to make your payment situation easier. Through a Direct Consolidation Loan, you can combine all of your loans so you have a single payment. It doesn’t cost you money to consolidate, but you do need to apply at StudentLoans.gov. You can extend your repayment term to up to 30 years, which makes payments more affordable. But you’ll pay more in interest. The interest rate is fixed and is based on a formula using the weighted average of your loans’ interest rates. Loan consolidation can also open up more opportunities for Parent PLUS borrowers and other borrowers to access income-driven repayment and PSLF. While a Direct Consolidation Loan may make monthly payments easier, there are some major things to consider. For example, if you’ve been making qualified payments under income-driven repayment to pursue PSLF, you’ll give up the payments toward PSLF by consolidating. You may also give up other borrower benefits like interest rate discounts and other cancellation benefits. Not good for: Borrowers with a lot of payments already made toward PSLF. A Direct Consolidation Loan is best for Parent PLUS borrowers looking to expand their repayment options to include PSLF and ICR. It may also make payments easier, but you’ll lose any progress toward forgiveness if you’re pursuing PSLF. If you’re dealing with a life transition or would like to put your payments on pause, a deferment could be an option. Student loan deferment puts your monthly payments on hold. For example, you can have an in-school deferment, an unemployment deferment, economic hardship deferment and more. Under a deferment, you won’t have to pay the interest that accrues on your subsidized loans. However, you’ll have to pay the interest on unsubsidized loans and PLUS loans. In some cases, you may be able to defer up to three years. To see if you qualify for this option, talk to your loan servicer about your options. Under the general type of forbearance, your loan servicer will review requests on a case-by-case basis. Approval is at its discretion. You may qualify for a general forbearance if you lost your job, are having medical issues or financial hardships. A mandatory forbearance can be granted for those in residency programs, if you’re serving in AmeriCorps, you’re a member of the National Guard and more. Both general and mandatory forbearances are granted one year at a time. Federal student loan borrowers have two student loan forgiveness options available. PSLF Program: Forgives loans after 10 years of service in the public sector and 120 qualifying payments. The forgiven loans under this program aren’t taxed. Income-driven forgiveness: If you still have balances on your loans at the end of the repayment term, the remaining balance is forgiven. Currently, though, you’ll be taxed on those forgiven loans. For both of these options, you’ll need to apply for forgiveness and stay up to date on certifications throughout the repayment term. We’ve exhausted the federal student loan repayment options, but what if you have private student loans? Unfortunately, private student loan repayment options aren’t as clear cut. This is because private student loans can come from a variety of private financial institutions, each of which have their own repayment options and terms. If you have private student loans, it’s best to contact your lender to learn about all of their repayment options and see if they have any deferment or forbearance programs. While not technically a repayment plan, one option to repay your loans at a better rate is through refinancing. Through refinancing, you apply for a private refinancing loan to get a better rate. Of course, getting a low interest rate depends on your credit. If approved, you could cut down your rate and save thousands of dollars. If you have private student loans, this can be a wise option. It can also be good for federal student loan borrowers, with some consideration. When you refinance, your old loans are paid off by a new private lender. No more federal loans means no more federal options, like income-driven repayment or student loan forgiveness. If you’re pursuing those options, refinancing isn’t right for you. If you aren’t pursuing those options and have good credit, you can pay off your debt faster with refinancing. This option makes sense for private sector workers with strong incomes and good credit. Just make sure you get a better rate and understand how your repayment term affects your monthly payment. Many repayment terms are between 5 and 20 years. Check out our cashback bonuses when refinancing your student loan. If you’re a federal student loan borrower, you can switch your repayment plan at any given time. The key for all of these options is talking to your loan servicer. Private student loan borrowers will want to discuss options with their lenders. All borrowers, if conditions are right, can look into refinancing, too. When choosing one of the student loan repayment options, find something that makes your payments and your overall debt more manageable.